We travel to you! 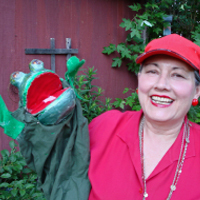 Live puppet shows for children ages 3-5 years old. Storybook Fairy Tales with Moral Lessons We offer a wide ranges of shows including storybook and holiday programs. 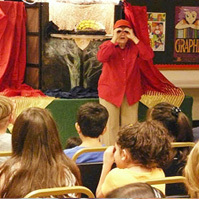 A puppet show consists of three ten-minute fairy tales of your choice! 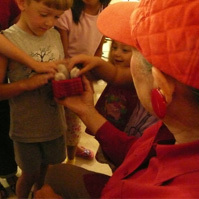 Our puppet shows teach valuable moral lessons, while both exciting and entertaining young children. Interactive Touch Puppets We bring small animal puppets in front of the stage between each act for a up close and personal audience experience. We travel to locations in the Chicago Area & Suburbs, Northern/Middle Illinois & Southern Wisconsin. 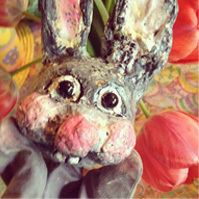 Special seasonal programs available for the holidays in March, October &December. 20 years of performance experience at Parties, Park Districts, Libraries, Corporate, Senior Homes & more!